What has been up with the weather lately? We have got sun, sun, sun and more sun in Belgium! Walking around without a winter coat, wearing my sunglasses, running away from creepy crawlers… It is official, SPRING IS BACK IN TOWN and this includes spring outfits and spring make up! Spring is all about big and bold colors! Forget about the dark winter colors, it is all about welcoming back the color in the nature! 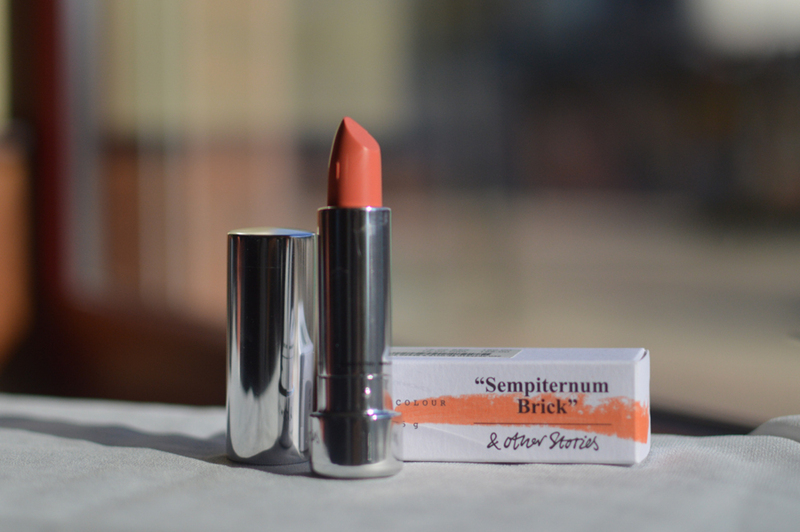 ‘Sempiternum Brick’ lipstick by &Other Stories is perfect for those who want a natural-but-not-so-natural-either color on their lips. 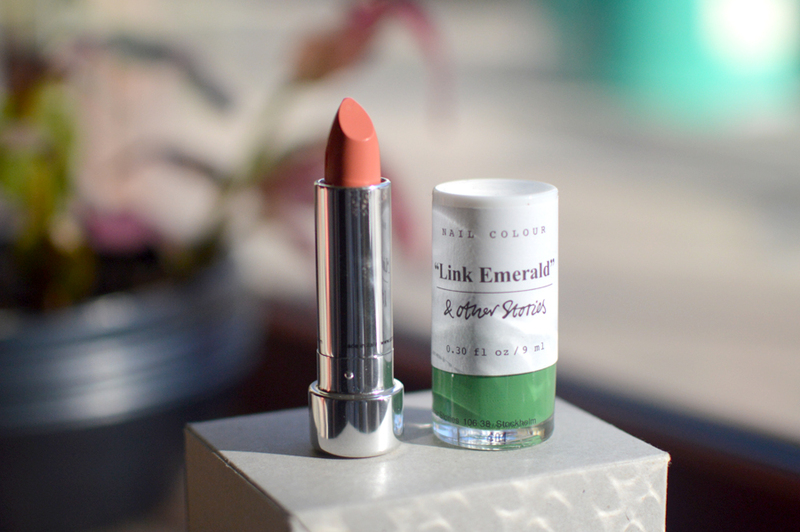 The lipstick has a severe orange tone which is perfect for my complexion but I wouldn’t recommend it if you are slightly paler. Number one on my ‘have-to-get-item-stop-being-lazy-and-go-to-the-store’ list has been a blush. I really wanted to buy the Coralista blush by Benefit but for the amount of times I wear make up, the price is just not worth it! 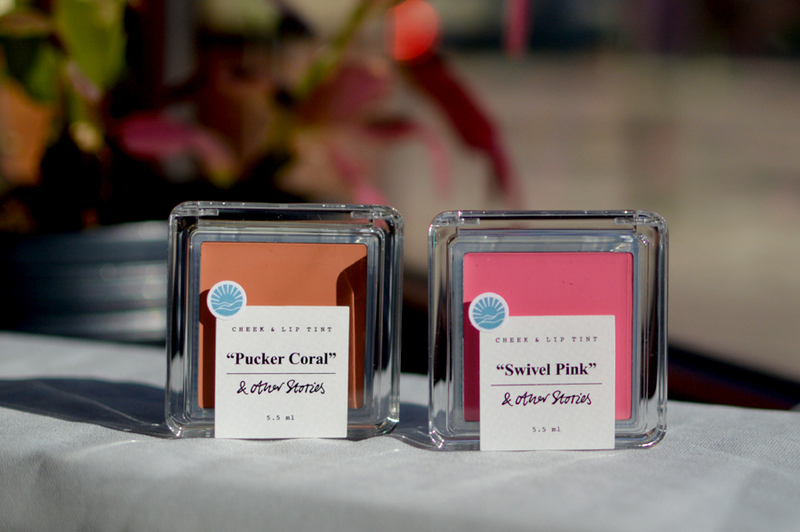 Luckily, &Other Stories has a coral cheek tint which will be right up my make up alley! If my research is correct, orangey colors seems to suit my complexion more! I have heard a lot of good things about &Other Stories make up but other than their nailpolish, I haven’t tried anything else. I am super stoked to try out these stuff and making my face make up ready! There beauty section looks always super cute! I would love to try that brand !